Pilot house, take from a position forward. Photo courtesy of Jim Gunther. A photograph of the pilot house on SC 79. Note the grate stored on the front of the deck house. That appears in a number of shots, but this one is especially clear. Thanks to Jim Gunther for sending in the scan. 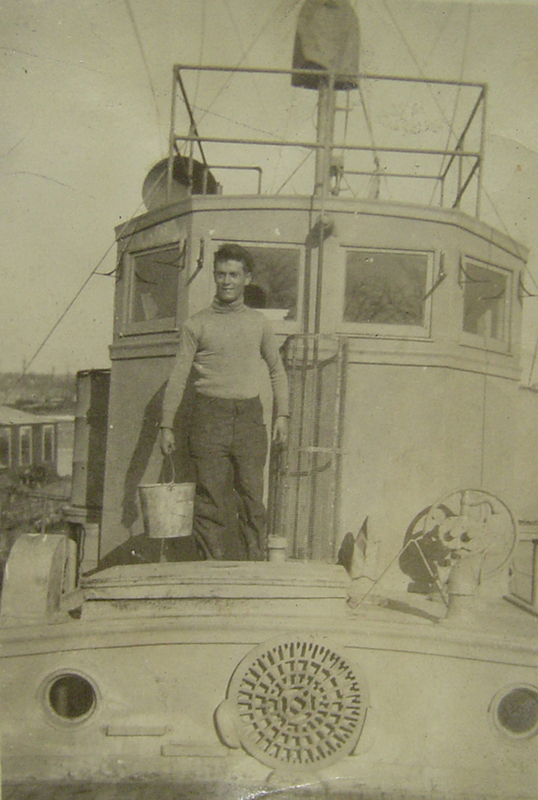 His grandfather, Charles Gaffney, was a crewman on SC C 79. See also the shot of SC 79 in the ice, in the Hull Number Photos category of the section, The Chasers.